Boo! 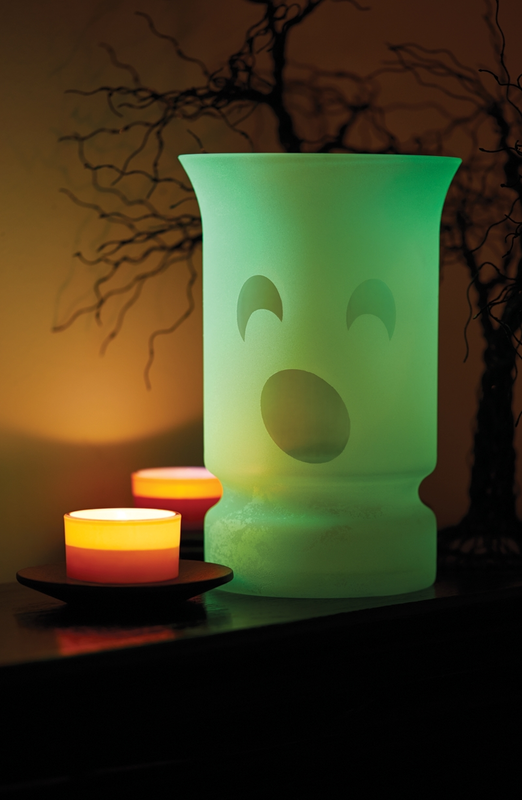 Here’s a fun, glow-in-the-dark project to add to your Halloween décor. Glowz Ghostly Vase was designed by Vicki O’Dell. Wash the vase with Dawn dish liquid to remove all dirt and oil. Let dry. Spray with several light coats of Krylon® Glowz®, allowing the paint to dry thoroughly between coats. Let set overnight after final coat, then remove the vinyl pieces. Apply Krylon® Glowz® in several light coats to achieve the best finish.